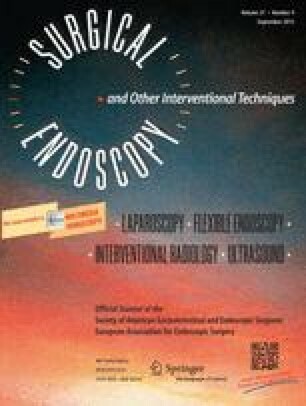 Background: Endoscopic sphincterotomy (ES) has an important role in the management of biliary stones. However, the long-term effects of free duodenobiliary reflux are not established, and it may lead to low-grade morbidity. Methods: We used a questionnaire survey to assess the prevalence of symptoms of biliary disorder in patients who had undergone endoscopic retrograde cholangio pancreatography (ERCP) and ES under the care of a single surgeon (R.J.R.G) between November 1993 and May 1998. Results: ES was carried out on 136 patients during this period. Current addresses were available for 94 patients, and 54 of them (57%) responded. Patients were surveyed a mean of 43 months after ES. Only 42.1% of patients denied having any symptoms. Nausea and pale stools were reported by 28% and 26% of patients, respectively, and nearly one-fifth of patients had symptoms suggestive of cholangitis. In addition, 18.5% of patients experienced one or more symptoms frequently. Conclusion: Severe long-term symptoms are uncommon following ES; however, a significant minority of patients do suffer occasional symptoms that suggest biliary dysfunction.